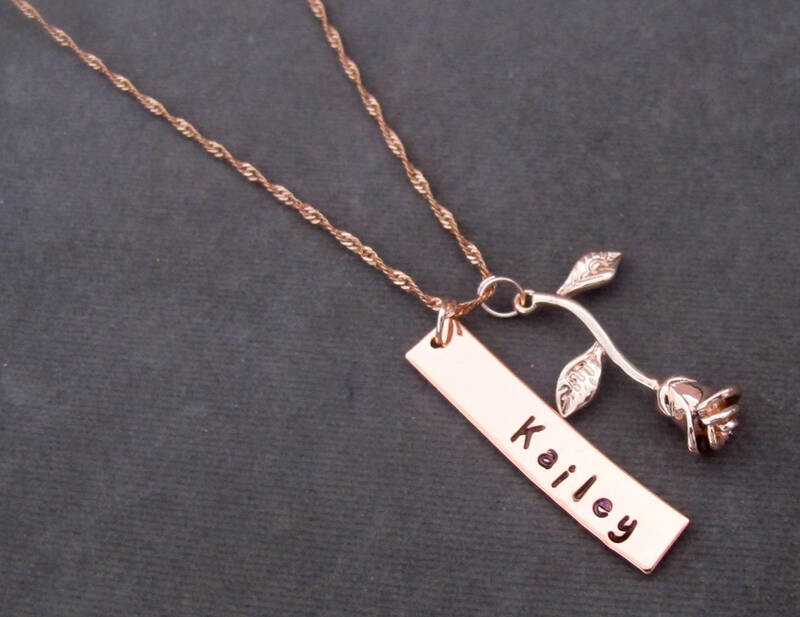 Rose Necklace, Golden Rose Name and Monogram Necklace, Gold Rose Charm Necklace, Rose Gold Charms, Rose Gold Rose Necklace, Personalized Silver Rose Necklace. 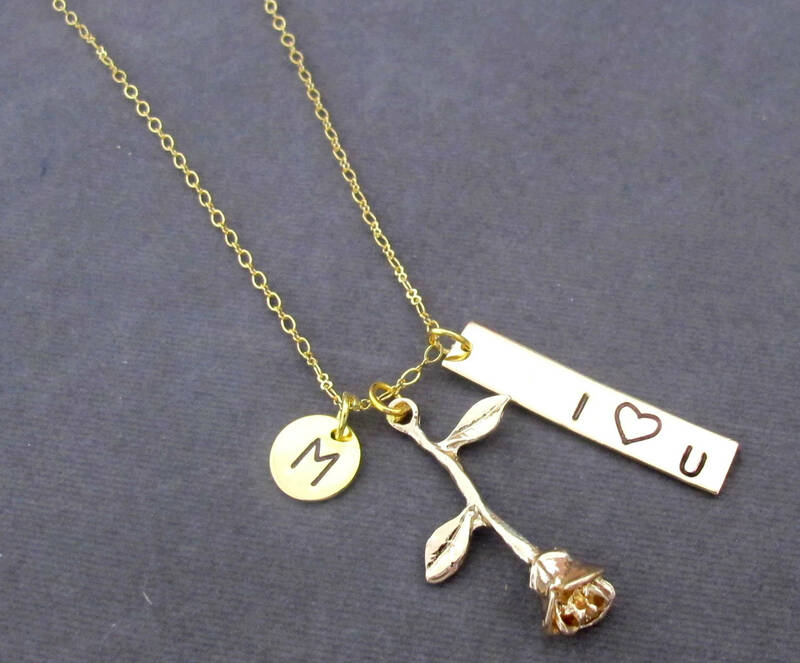 An amazingly beautiful Personalized delicate Gold Rose Necklace featuring a rose pendant, Initial and a bar hand stamped with "I Love You". 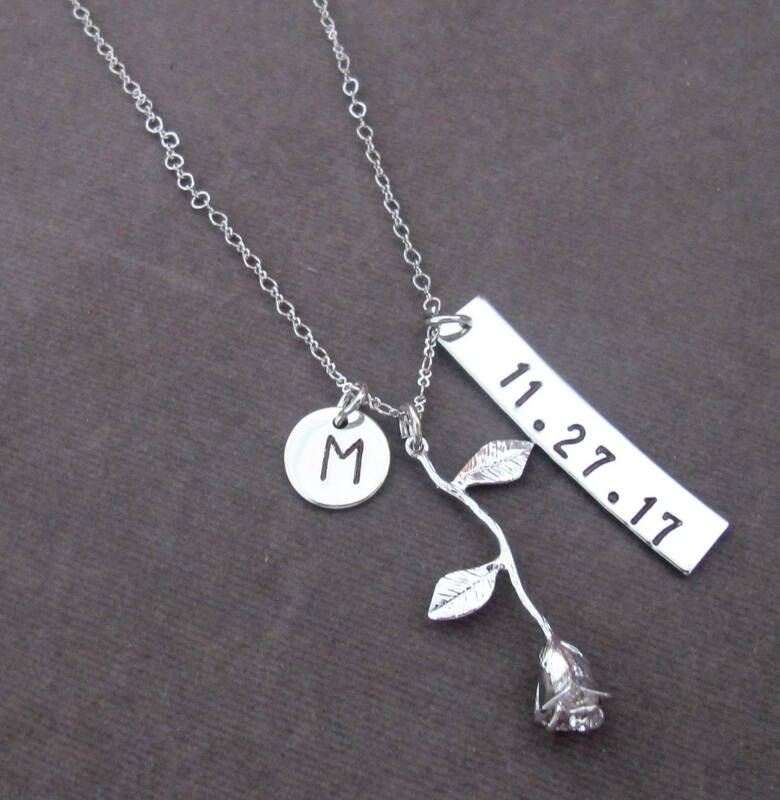 Altogether making a great personalized gift. Create a special meaning for someone special, use their name or add a special word of your choice or if you wish to stamp an important date. Kindly Leave Your Custom Details At the Time of Check Out of the Order, and Choose the Color (Rose Gold, Gold, Silver) and various other options from the drop down. Thank You!